We have an 83.8% interest in the offshore Maui gas field, a 50% interest in the onshore Kapuni gas field and a 48% interest in the offshore Pohokura gas field. The gas produced is sold domestically, mainly under long-term contracts. 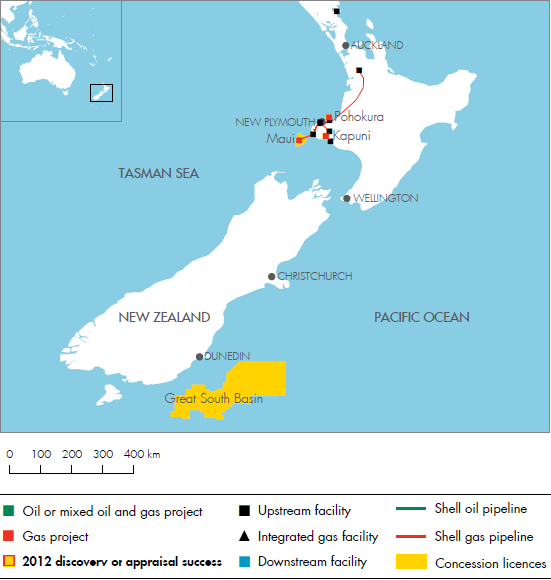 Shell has interests in other exploration licence areas in the Taranaki Basin and an interest in two exploration permits in the Great South Basin (50% and 59% interest).